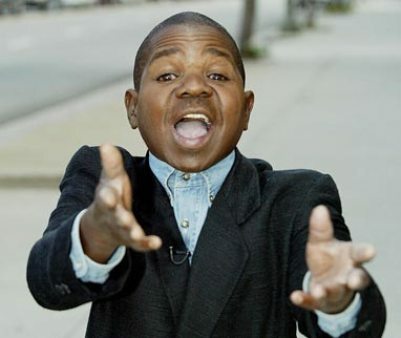 Gary Coleman Charged With Being Reckless. Earlier this month, Gary Coleman proved once again that he has some serious anger issues. Today, he was formally charged with reckless driving and disorderly conduct. Coleman, 40, was backing out of a bowling alley around midnight on Sept. 6 when his truck hit Colt Rushton, 24, as well as another car. Rushton was taken to a local hospital and treated for minor injuries. Witnesses said Coleman became irritated after Rushton photographed him. The two argued in the bowling alley and then moved outside, Lt. Wright said. Rushton has since filed a lawsuit against Coleman, seeking damages for medical bills, pain and suffering, and punitive damages. A rep for Coleman wasn’t immediately available for comment. If Gary Coleman doesn’t get some anger management soon, we’re going to have another Danny Bonaduce on our hands; a much smaller, less orange one. previous post: OJ Simpson Takes Another Lesson In Karma. next post: Jessica Simpson Is A Drunk And Elisabeth Hasselbeck Is Finally Leaving. 50 queries in 0.603 seconds.